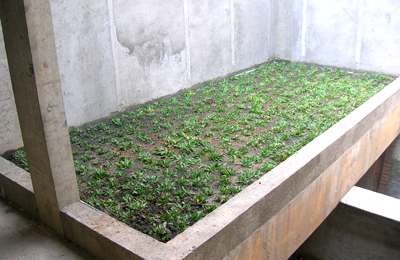 The green roof waterproofing project was in housing complex of several flat roofs in Gunawan in Indonesia. Decorative gardens was to be created in different levels and with different vegetation. 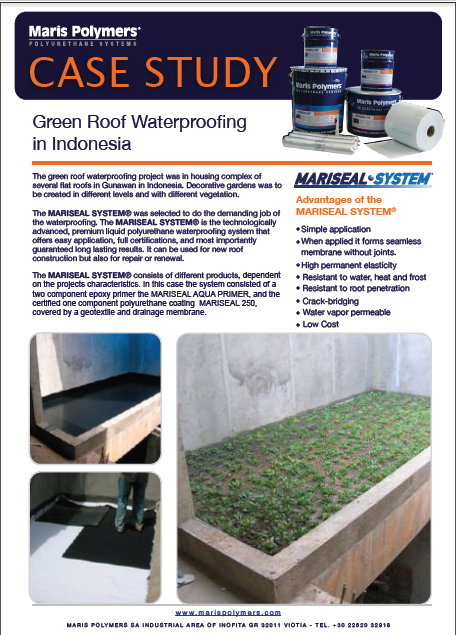 The MARISEAL SYSTEM® was selected to do the demanding job of the waterproofing. The MARISEAL SYSTEM® is the technologically advanced, premium liquid polyurethane waterproofing system that offers easy application, full certifications, and most importantly guaranteed long lasting results. 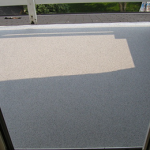 It can be used for new roof construction but also for repair or renewal. The MARISEAL SYSTEM® consists of different products, dependent on the projects characteristics. 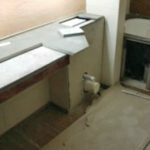 In this case the system consisted of a two component epoxy primer the MARISEAL AQUA PRIMER, and the certified one component polyurethane coating MARISEAL 250, covered by a geotextile and drainage membrane.